This year's course is FULLY SUBSCRIBED and we look forward to welcoming applications again next year. Please note that children should be prepared for their First Holy Communion in the parish where the family regularly worships. Please understand that missing sessions with no good reason will mean deferring your child’s First Holy Communion until next year. To attend Mass weekly, as a family. To spend time regularly with your child, continuing on from the group sessions and working on the book at home. A very important challenge lies ahead of you and you must think and pray very carefully before making a commitment to this programme of sacramental preparation with your child. At baptism a promise was made to God, to the Church and to your child to bring the child to Mass each week. Many have dutifully and joyfully fulfilled that promise and will be eagerly awaiting the opportunity to prepare their child for the next two sacraments with the support of this parish. For others that baptismal promise has proved too much – for a variety of reasons, which I understand. For you, entering this programme may involve returning to the weekly practice of your Faith and most certainly ensuring that your child is here every week. This may involve radical change in your family’s routine at the weekend. Please consider very carefully the promise you are about to make and if you think you might not be able to keep your promise at this time then maybe next year would be better. If during the year ahead it turns out that you or your child are unable to fulfil what is required you will in any case be invited to defer to next year. The Sacrament of Reconciliation, currently resurgent in the Church, respects your child’s growing moral maturity. 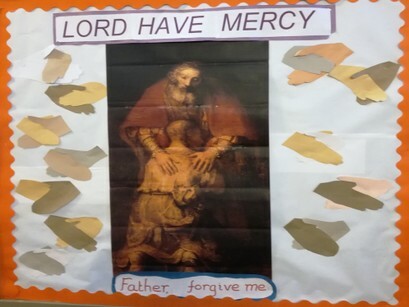 We will help you to show that some actions (and thoughts and words) are not just disapproved of by you or others, but are in fact wrong, wrong in the sight of God, but that wonderfully they can be forgiven by God and He expresses this forgiveness personally through the Sacrament of Reconciliation. We will help you prepare your child to begin making confessions and thus receive God’s love and mercy. 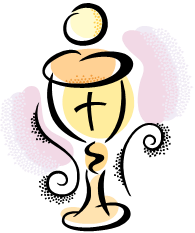 The second Sacrament that we are preparing for is of course Holy Communion. God loves us so much that He wants to share His life with us and while He does this in prayer and in other ways, His chosen expression is through the sharing in a sacrificial meal of food and drink, which is the Body and Blood of Jesus Himself. This intimate and personal gift is celebrated each and every week and we need to receive it over and over again in order to begin to be able to “hear” God saying: “I love you”. From the earliest days the disciples used to meet for the Breaking of Bread and to read the scriptures – old and new. It is what Jesus wanted. What great gifts you can enable your child to receive and what a tragedy it will be if you sell them short by not giving all the effort that is required. 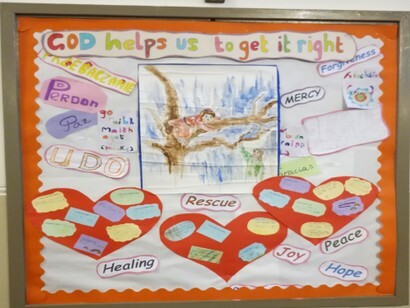 The responsibility is yours but be assured that our Parish Catechists will do everything they can to support you. They are extraordinarily generous in giving so much time, effort and professional application to you and your child. They are quite literally God’s gift to you, so please be nice to them, even if they are telling you off for being late! The programme that we follow here at Holy Cross is called ‘I Belong’ and it follows the structure of the Mass, from when we bless ourselves as we enter the church, until we are sent forth at the end of the Mass ‘…to love and to serve the Lord’. Our first session, in September, looks back at our Baptism, which made us all members of the same family—that of the Church throughout the world. 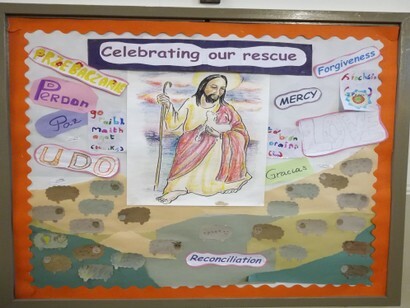 From then until December we prepare for the children’s First Reconciliation, which takes place during Advent. In January we begin by looking at the different parts which make up the Mass and why it is so important for us to gather as a congregation each week to share in the Eucharist. There are four more sessions before First Communion at the end of May. In June we gather for a final time to reflect on the fact that we have reached an important stage together, but it is not the end of the journey, and we are all sent out to show by our lives that we are true Christians. The children work, with their parents, in small groups with their own catechists. Over the course of the year each group will have their turn to prepare and read the Prayers of the Faithful (the Bidding Prayers) during Mass. This usually happens during the 10.00 am Mass on Sunday, please ensure that your child is there when it is their turn. Please note that it is not possible to offer child care facilities during the First Communion sessions. Parents will need to make alternative arrangements for any younger children. Looking back at our Baptism, the reason why we are here. The Mass is like a song of praise and thanksgiving for the gift of God’s son.